STI Outback Max 26x10x12 Big Wheel Kit $887.92 Free Shipping! 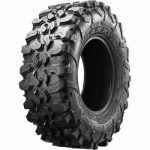 Maxxis Carnivore Radial Tire 32×10-14 BIG WHEEL KIT $1153.00 FREE SHIPPING! Maxxis Carnivore Radial Tire 30×10-14 BIG WHEEL KIT $1103.00 FREE SHIPPING! !